Alhamdulillah, one more free chart is available here now. This pattern is available for us today, thanks to Wan Lutfi who once again granted the permission for Kristik Islami to use his beautiful artwork. That's all for now, you can find other things on the detail section below, or just see more complete information in the pattern itself. I hope this posting will bring manfa'at to us. 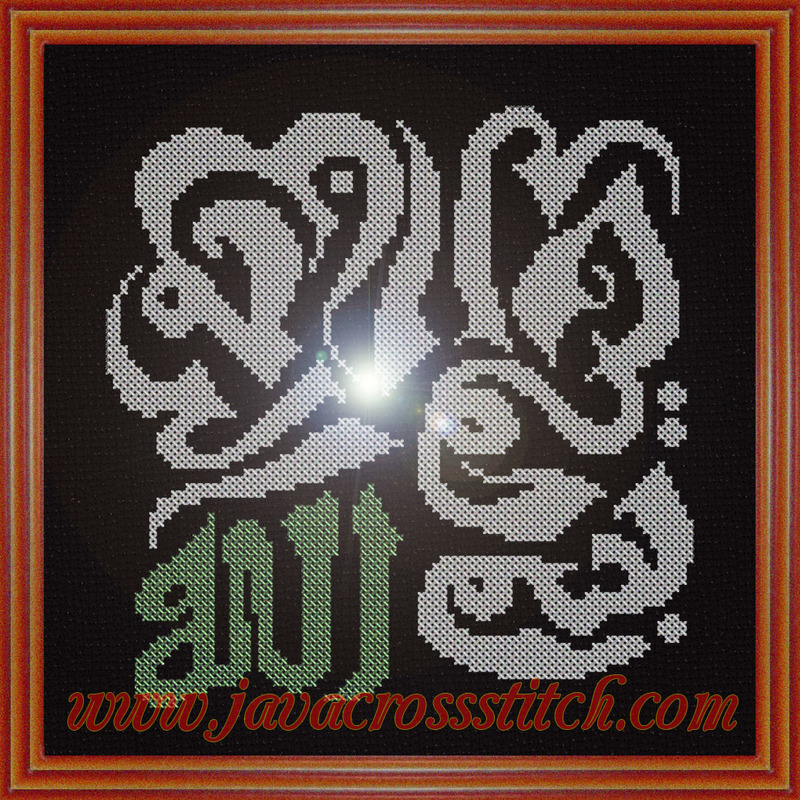 Please let us know if you find problem in downloading the pattern... and thank you for choosing our cross stitch chart. See you again soon, wassalaamu'allaykum. Pattern Price: AUD 0.00 » GRATUIT, FREE !! * Kit contains Aida 14ct (Black), DMC Light Effect threads -unopened, unsorted; needle, stitching instruction page. * Worldwie shipping using trackable EMS service (up to 5 working days shipping time) or regular postal service (vary from 14 to 21 days in most case), Pengiriman wilayah Indonesia bisa dipilih pakai Tiki, JNE, atau Kilat Khusus PT POs. The Islamic art designs are incomparably beautiful with just the right amount of cultural scent that they exude. For the ones who really want to follow fashion in true sense can rely upon Dubai Saga World. Just follow the latest fad with Saga World!